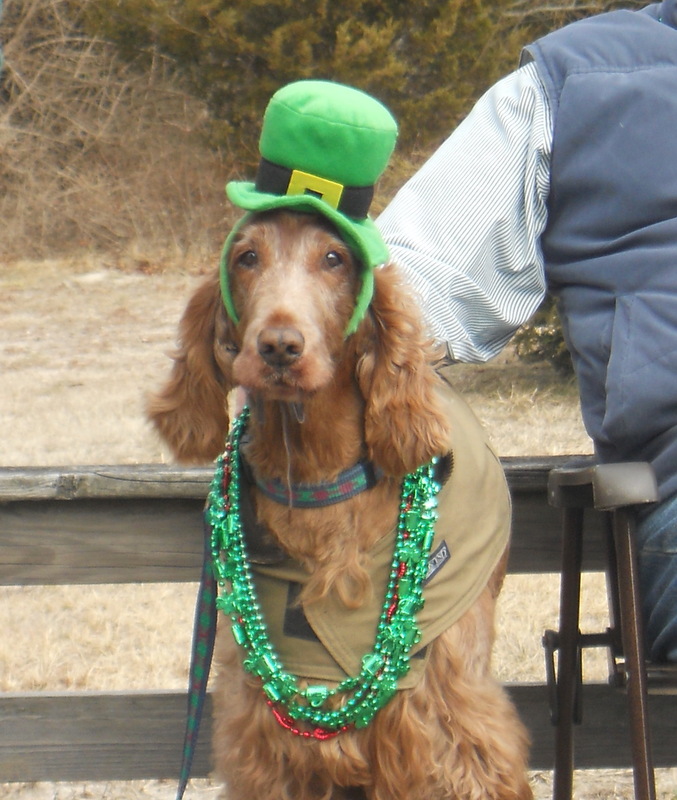 The 2012 Alexandria Saint Patrick’s Day Parade is this Saturday, March 3, in dog-friendly Old Town Alexandria, and the day’s festivities kick off with a dog show! Registration begins at 10:30 a.m. at Market Square for the show, which is sponsored by the Ballyshaners and organized by Barkley Square Gourmet Dog Bakery. Dogs and owners can compete in categories such as Dog with Best Tail Wag, Dog with Most Unusual Markings, Dog with Most Unique Appearance, Dog/Owner with Most Similar Hair, Dog with Biggest Feet, Dog with Most Unusual Tail, Dog with Best Irish Costume, and more. Dog show judging begins at 11:15 a.m., with the Honorable Daniel O’Flaherty as the judge and newscaster John Harter as Master of Ceremonies. After the show, the dog contestants and their owners are invited to lead the parade as it begins at 12:30 p.m. at the intersection of King and Alfred Streets and heads down King Street. The parade is held rain or shine, and generally attracts thousands of spectators to cheer on the Irish dance troupes, pipe and drum corps, dog breed groups, bands, and more.